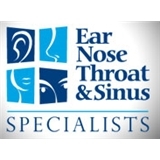 Ear, Nose, Throat & Sinus Specialists (Ventura) - Book Appointment Online! We treat the whole patient and strive to deliver not only the highest level of medical care but in a compassionate and professional manner with patient service our highest priority. Dr. Lueg listens to you and explores all remedies for you.